Brendan is a litigation specialist with over 30 years’ experience in plaintiff and defence litigation in the District, Circuit, High and Supreme Courts, acting both for private clients and financial institutions. 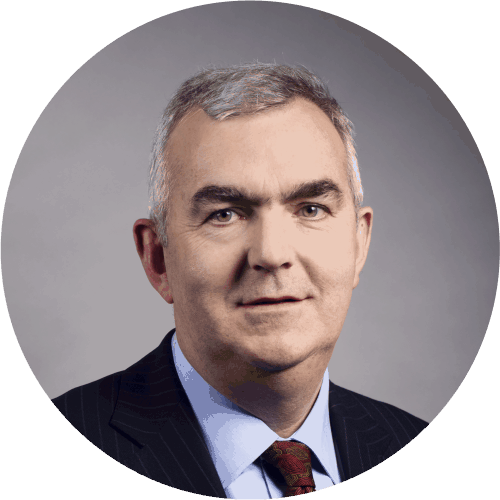 Throughout this time, Brendan has acted for a number of Irish and UK-based banks and financial institutions and he has been involved in several cases which have established important precedents in areas such as consent in medical negligence actions and the enforcement of solicitors’ undertakings. In contentious probate and administration matters Brendan has acted for personal representatives and challenging beneficiaries/parties, as well as acting, by appointment of the Court, as an independent estate administrator. Brendan qualified as a solicitor in 1981, having graduated from University College Dublin in 1978 with a Bachelor of Civil Law degree. In 1987 he founded Moriarty & Company Solicitors, where for 25 years he and his colleagues provided a broad range of legal services for private clients, while developing a growing speciality in banking and enforcement law. Brendan became a partner at our firm when Whitney Moore merged with Moriarty & Company Solicitors in January 2013. Brendan is recommended by international legal journals such as The Legal 500 EMEA.